What is the difference between “I like you” and “I love you”? 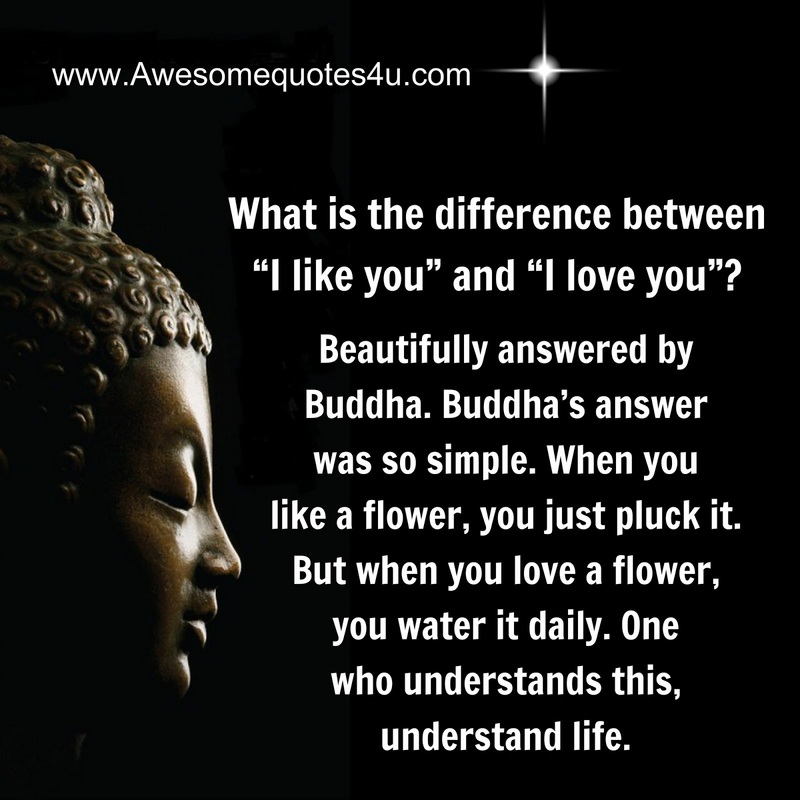 Beautifully answered by Buddha. Buddha’s answer was so simple. When you like a flower, you just pluck it. But when you love a flower, you water it daily.